Ha, Green & Blue are mapped to RGB respectively. RGB data was overlaid to show the vdB75 & IC 444 nebulae. The second image is a straight RGB composition. On the right is IC 443, the Jellyfish Nebula. This is a Galactic supernova remnant, in the constellation Gemini, that occurred 8,000 years ago. It is one of the best studied cases of supernova remnants, interacting with surrounding molecular clouds. IC 443 spans about 65 light-years at an estimated distance of 4900 light-years. The large expanse, to the left and to the top of the image, is the emission nebula Sh2-249... at a distance of 5200 light years. Because it was so difficult to get good data with a red filter, I choose to use the Ha data for the red channel. 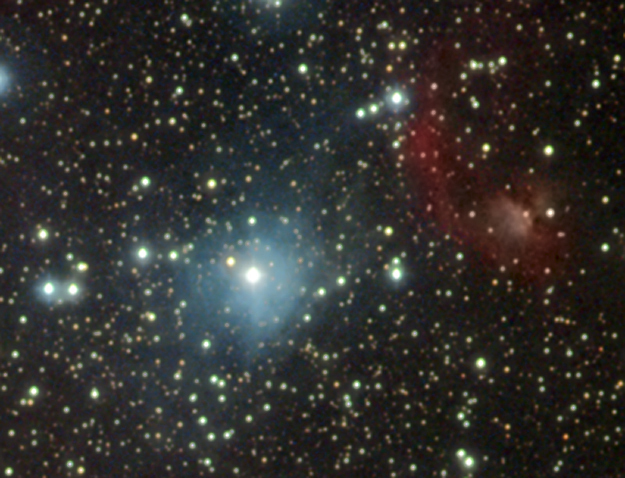 Above center, and a little to the right, is the bluish reflection nebula vdB75. Just to the right and slightly up, from vdB75, a small white patch is visible. This marks the center of the emission and/or reflection nebula IC 444. 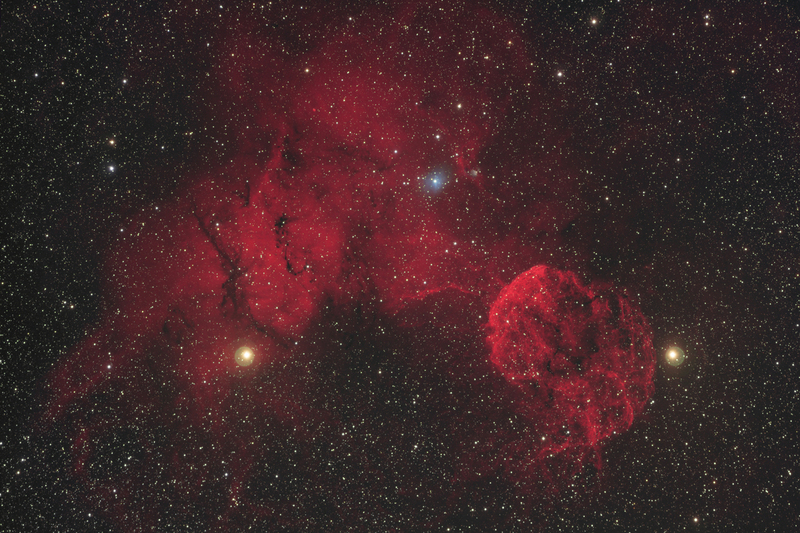 The structure of IC 444 is much more evident in the NB color mapped image.